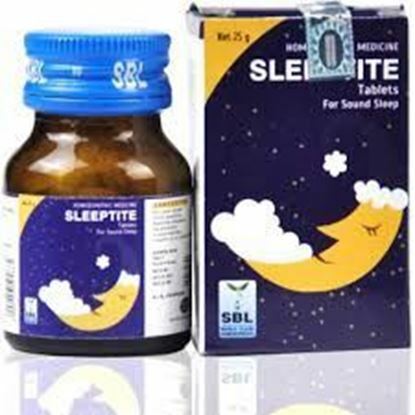 Properties FormTablet Weight90 (gms) Dimensions4.4 (cm) x 4.4 (cm) x 7.2 (cm) Indications of sleeptite: Disturbed sleep, sleeplessness, difficulty in falling asleep due to anxiety and restlessness. Properties FormOil Weight150 (gms) Dimensions4.5 (cm) x 4.5 (cm) x 10 (cm) SBL ORTHOMUV MASSAGE OIL SBL Orthomuv massage oil penetrates easily in the area of pain thereby relieving pain stiffness. 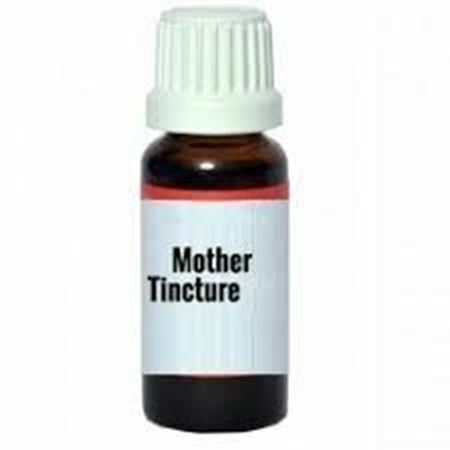 It contains extract of Gaultheria which is a natural pain reliever. Also, Sesame oil is used as its base which is known to reduce pain and swelling associated with arthritis. 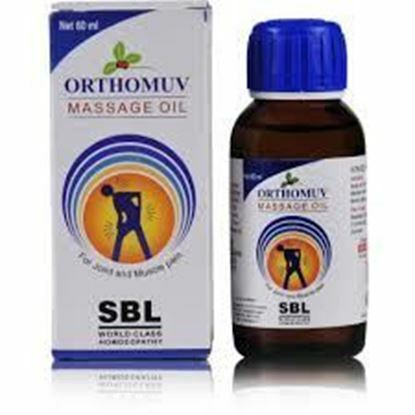 Indications of SBL ORTHOMUV MASSAGE OIL Acute chronic muscle and joint problems Weakening, generally affecting fingers, hips, knees, neck and other joints causing pain, redness, swelling and stiffness. 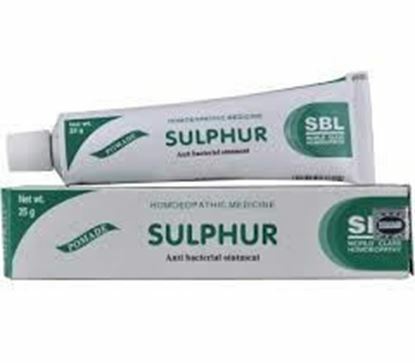 Also known as Sulphur Cream Properties Weight40 (gms) Dimensions12 (cm) x 2.7 (cm) x 2.7 (cm) SBL SULPHUR OINTMENT Anti bacterial Ointment Sulphur: It is indicated well in Dry, scaly, unhealthy skin; every little injury suppurates. Freckles. Itching, burning; worse scratching and washing. Pimply eruption, pustules, rhagades, hang-nails. 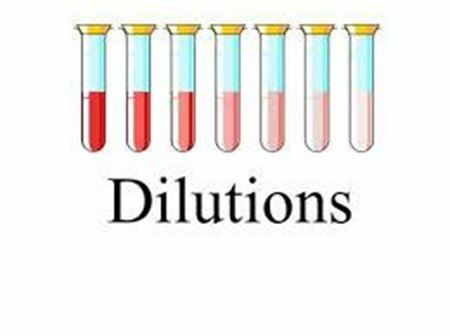 Skin affections after local medication. 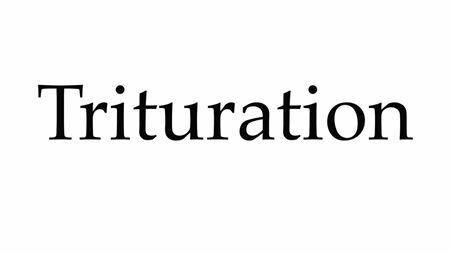 Pruritus, especially from warmth, is evening, often recurs in spring-time, in damp weather. Properties Weight90 (gms) Dimensions3.4 (cm) x 3.4 (cm) x 9.6 (cm) SBL Drops no 4 Helps Regulate Blood Pressure. 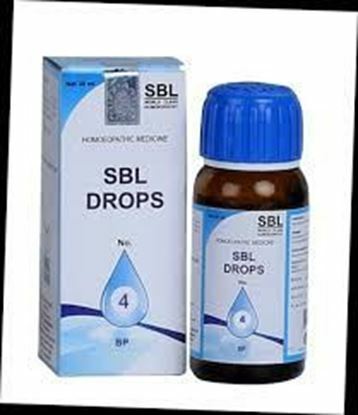 Indication of SBL Drops no 4 Heaviness, palpitation, breathlessness. 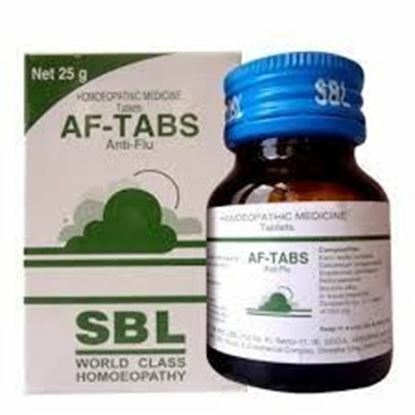 Properties FormSyrup Weight250 (gms) Dimensions4.7 (cm) x 4.7 (cm) x 12.7 (cm) About SBL Stodal Syrup Stodal + cough syrup is clinically proven cough syrup and effective in dry, productive and allergic cough. Stodal + treats irritating cough caused by infection or smoking, nasal and post nasal mucous discharge and is also useful in spasmodic cough. The principal symptoms of respiratory tract diseases are cough & catarrh. Stodal + cough syrup helps in facilitating recovery from cough & wheezes and thus avoids usage of antibiotics. 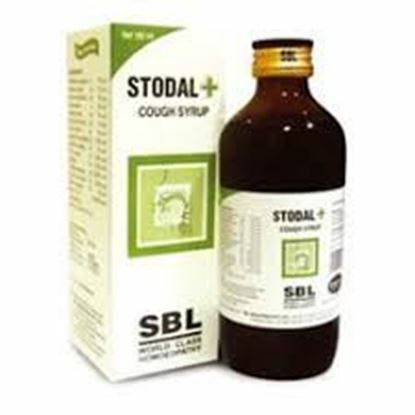 Stodal +cough syrup is well suited for all age groups and can be recommended as a daytime cough syrup.